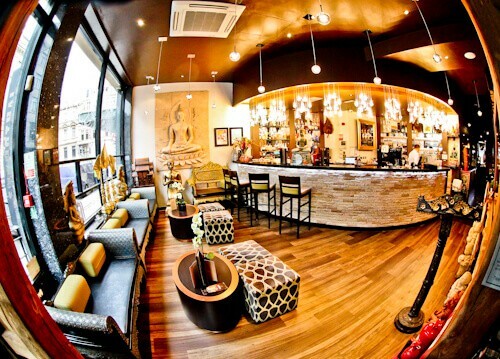 Where to eat Thai food in Leeds and Harrogate? For full restaurant details and menu see the Sukhothai web page. For the latest events and special offers check out the Facebook, Twitter and Instagram Feeds. I visited the Sukhothai restaurant in Leeds city centre. It’s located in the heart of Leeds on South Parade. It’s a block from The Headrow and a short walk from Leeds train station. Sukhothai has 4 restaurants in Yorkshire preparing Thai food. There are 3 locations in Leeds. 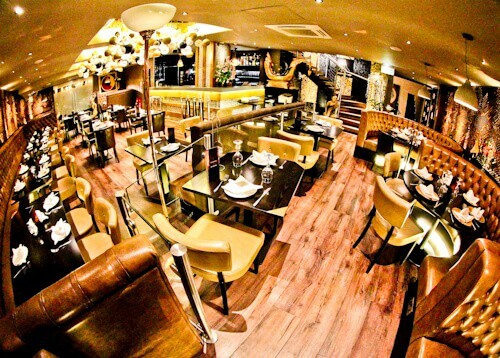 Leeds restaurants serving Thai food are located in the city centre (above), Chapel Allerton and Headingley. The other location is in Harrogate city centre. When you step into the Sukhothai restaurant it’s like stepping into Thailand. There are lots of Thai decorations and Buddhas. The restaurants are huge too which makes it perfect for groups and families. There is a VIP room which is perfect for those visiting the restaurant on business. You could also use the VIP room for a birthday party of other special occasion. 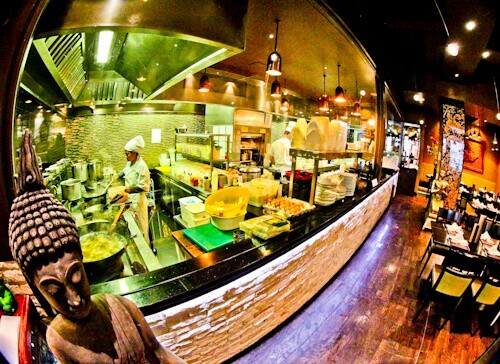 Something unique about Sukhothai is that you can see into the kitchen. You can see your food being prepared and more importantly see how clean the kitchen is. You’ll be able to see how the delicious Thai food is prepared and cooked by the Thai chefs. Those eating out in Leeds with kids will benefit from the kitchen viewing. Kids are fascinated by watching a working kitchen. I’m sure the chefs would give them a friendly wave too! Sukhothai offers a full bar service. 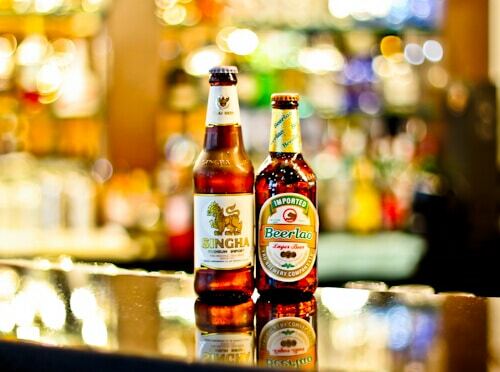 You must try the Thai beer, Singha. Another interesting beer available is beer Lao. This beer comes from Thailand’s northern neighbour Laos. There is wine, spirits, soft drinks, fruit drinks and all the drinks you’d expect from a full bar. If you’re a gin fan you’ll love the gin menu. For starters you can order many of the Thai classics a la carte. It’s a traditional in Thailand to share plates. This makes a sharing platter a good option for starters. I chose a Special Mixed Starter. This meets the Thai sharing traditional as well as lets you try more Thai foods. 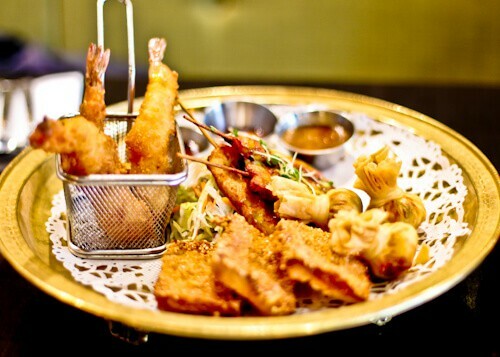 The dish includes tung thong, chicken toast, satay chicken and tiger prawns in batter. I must recommend the tiger prawns in batter – sometimes it’s better not to share! There is a huge selection of Thai food on the menu. I went for the signature dish which is called the Weeping Tiger. 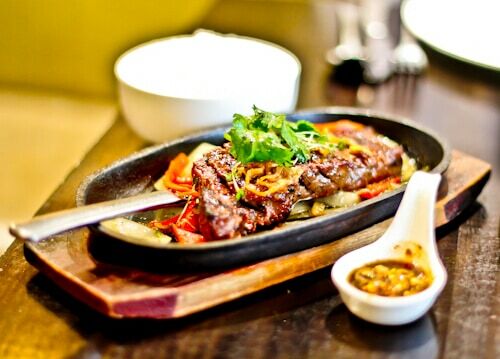 The Weeping Tiger is a sirloin steak grilled Thai style which arrives on a sizzling hot platter (above). Your favourite Thai classic will be on the menu and if you have any queries you can ask the Thai waiters who will be happy to help find the best dish for you. Thai food can be spicy and the menu indicates how spicy each dish is. The spiciest dishes will have 3 chili’s next to them on the menu. The dishes which are not spicy will not display a chili next to them on the menu. For dessert you could try the classic mango with sticky rice. There’s also a delicious Thai custard dish. I shamefully chose a chocolate cake with ice cream from the dessert menu. I’d seen this on the Sukhothai Instagram feed and had it on my mind before visiting. Thailand is known as the land of the smiles. With the Thai waiters and waitresses you will feel like you are in the land of the smiles. 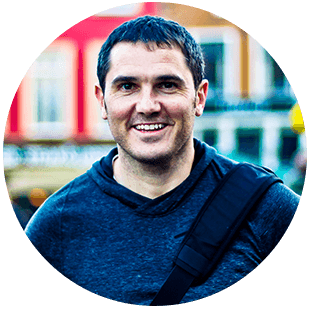 They are here to make your experience truly authentic. Be sure to let them know exactly which type of Thai food you would like and which level of spiciness (or non spiciness). Be sure to reserve your table online. During the online reservation process you can make any special requests. If you do not have time to enjoy the restaurant but would like the Thai food then you can order online. Your order can either be collected from the restaurant or delivered to your door. Enjoy your authentic Thai experience without having to get on a plane to Thailand! Where to stay in Leeds. Thank you James for making me so hungry! I love Thai food and everything you mentioned sounds delicious. I’ve not heard of Sukhothai before, are they just based in the north of the UK? I don’t blame you one bit for ordering the chocolate cake, it looks wonderful. Hi Lisa. Yes, Sukhothai is based in the north of England in Leeds and Harrogate. 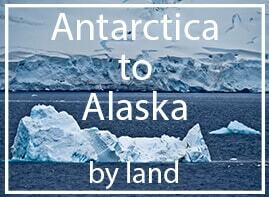 You should visit us friendly folk up north! I just love eating Thai Food, you will have to come to London and do a recommendation list for there 🙂 Then I can keep it for some tips. 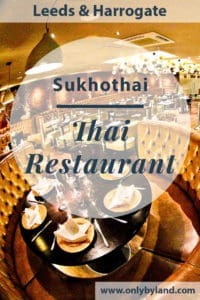 I have not heard of Sukhothai before but it sounds like my type of Thai restaurant, I love the interior and that food looks so yummy and mouth watering especially the Weeping Tiger (grilled steak). I am definitely adding this to my Leeds list next time I am in the city. I have a Thai wife and I’m always on the lookout for Thai restaurants. She loves all the Thai curries and rice dishes! I’d definitely go for a Thai steak and beer Singha though! I love how they have Thai waitresses and chefs – my wife will feel like she’s at home! Hi James! This restaurant looks delicious. That Weeping Tiger dish makes my mouth water. And that mango with sticky rice dessert doesn’t fall behind! I love Thai food and this seems like the perfect recommendation. 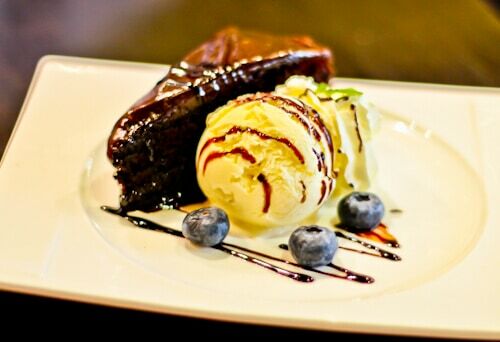 The signature dish you ordered looks divine and that dessert mouthwatering. Will have to add to my list of restaurants to try. OMG how yummy they are! I love Thai food and try them in many countries already. I haven’t visited Leeds or the U.K. yet, but love to go there since there is such a wide variety of food choices! You make me crave Thai food now! I love Thai dishes, especially the spicy ones like green papaya salad and tom yam kung. I’ve never heard of Weeping Tiger but it looks mouthwateringly delicious! I love sticky rice and am game for any Thai joint that gives it. This does seem like a lovely place to spend an evening in. And it does seem to have its little vegetarian options. Or at least seem to be geared to whip up one. Lovely pics.